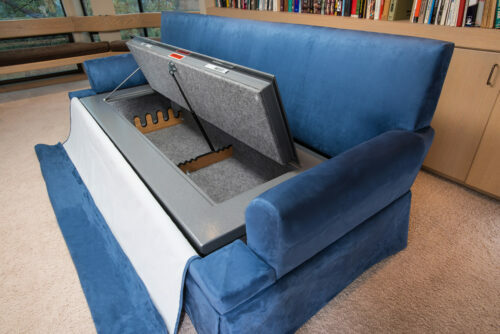 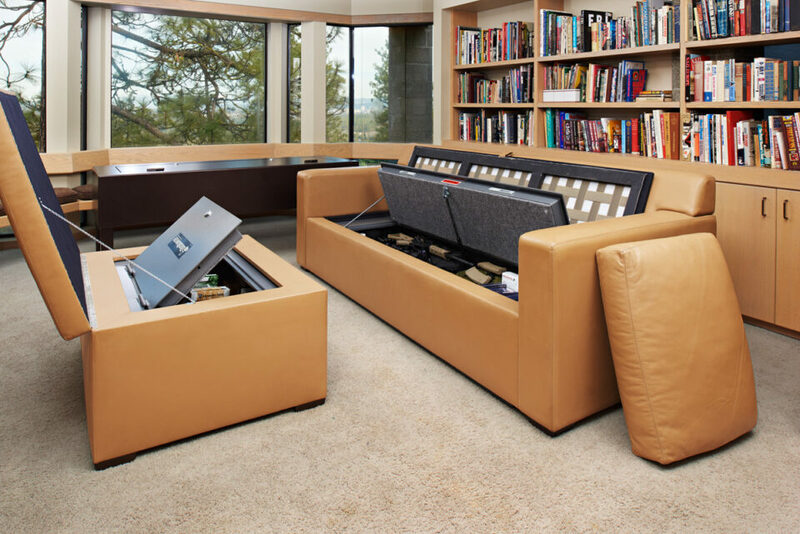 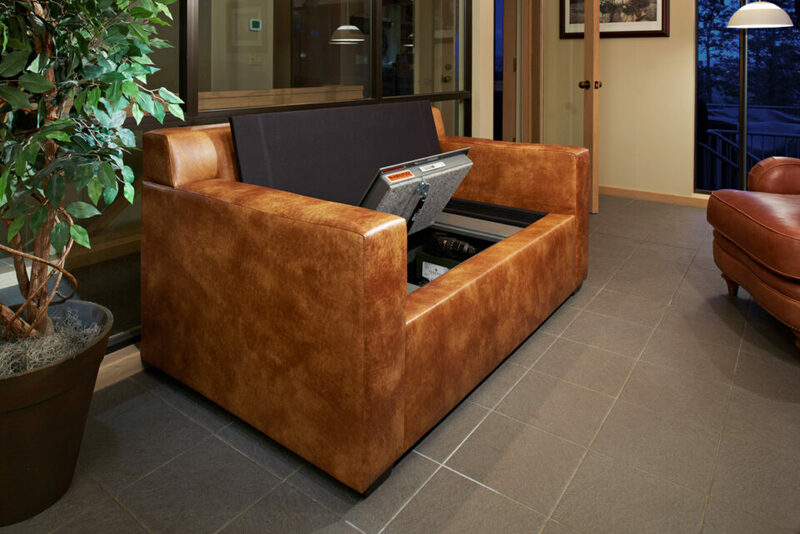 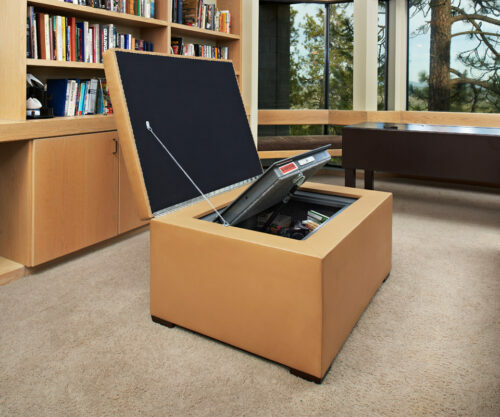 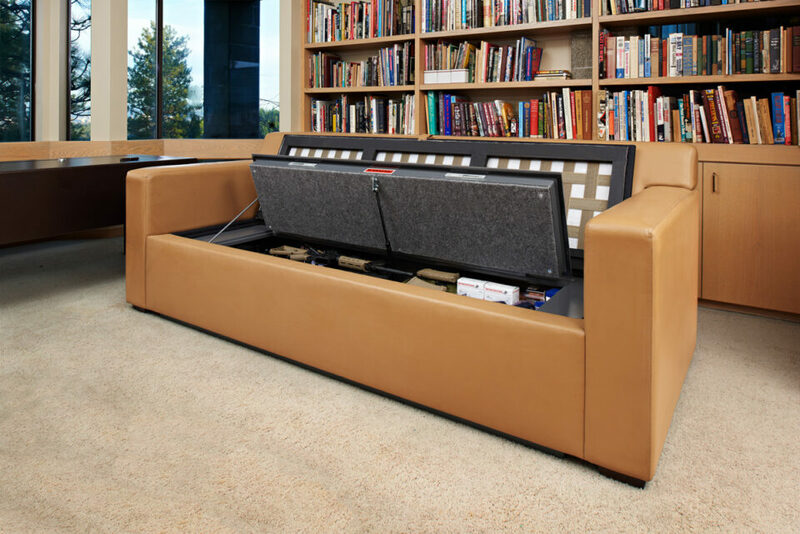 Imagine a fire-rated gun safe, with a two-hour firewall, hidden inside a custom built couch, with bulletproof cushions with carry straps, so they can be used on the fly as a shield. Now there is one. 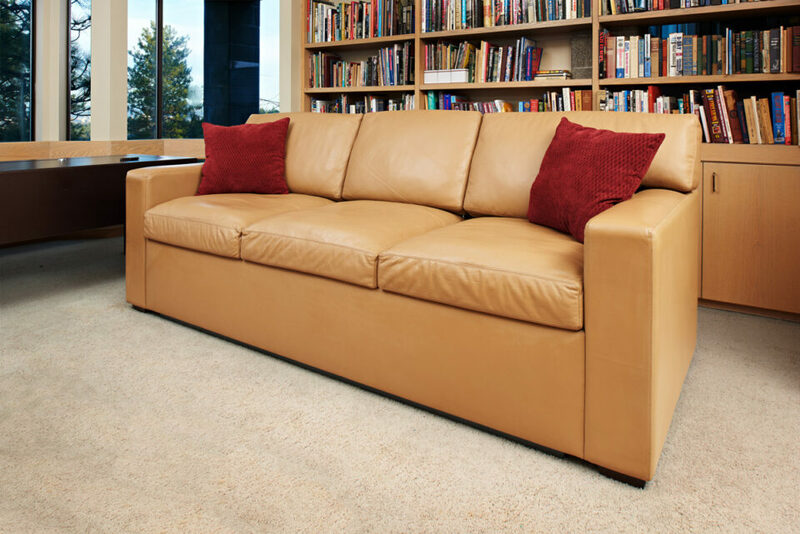 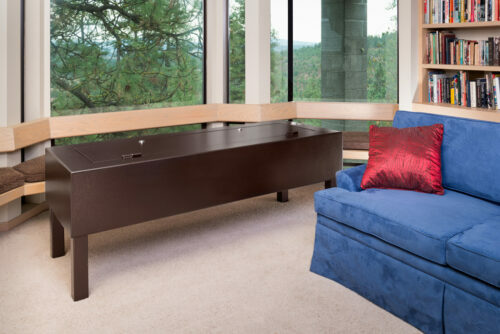 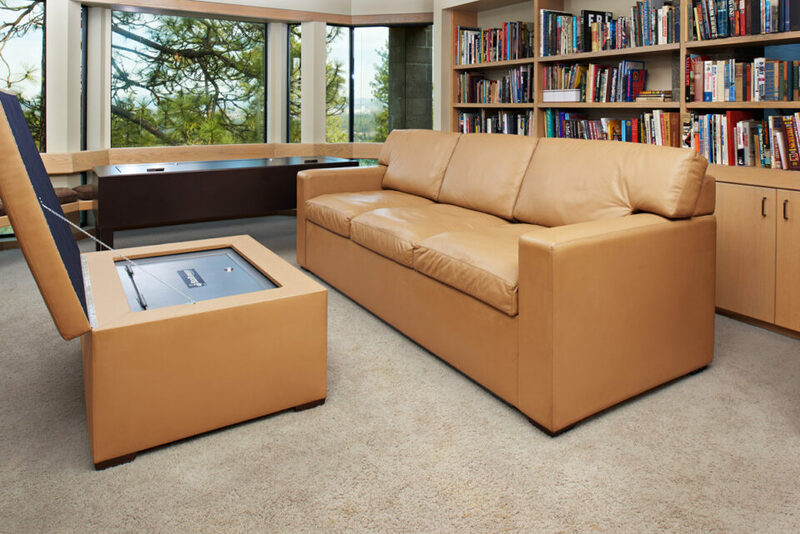 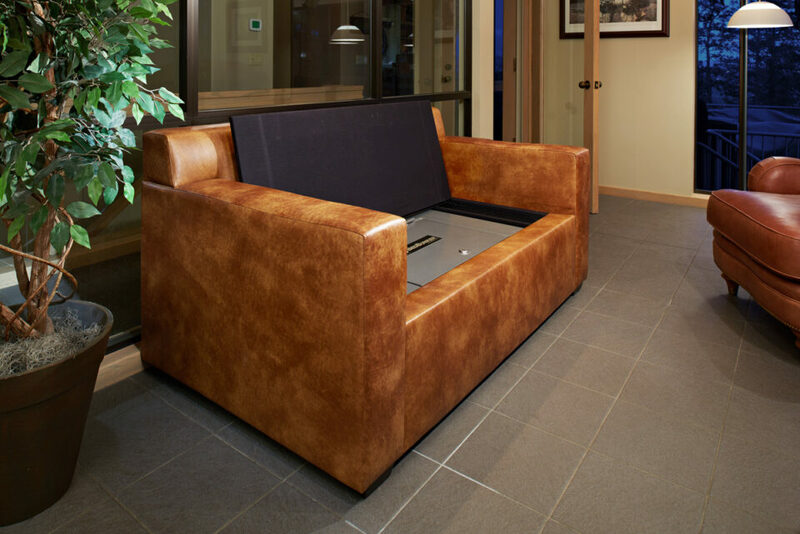 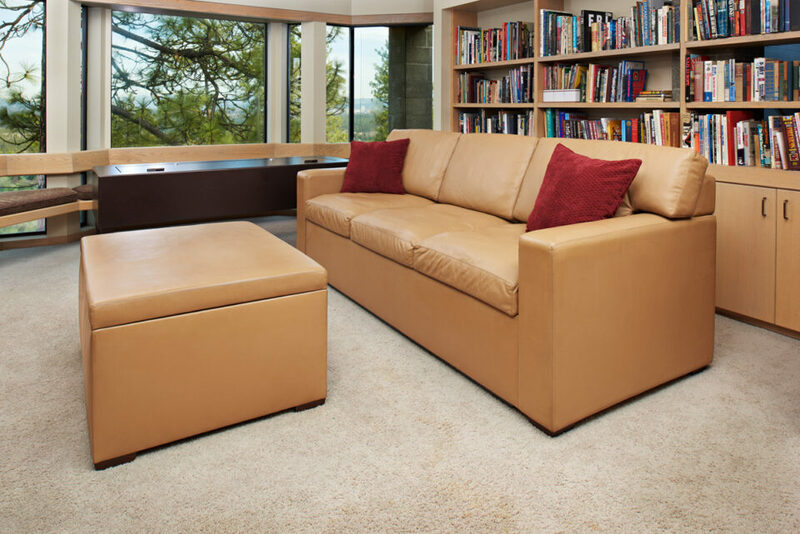 CouchBunker™ patent pending is available in a wide range of styles, leather and fabric coverings creating choices from game room casual to living room formal. 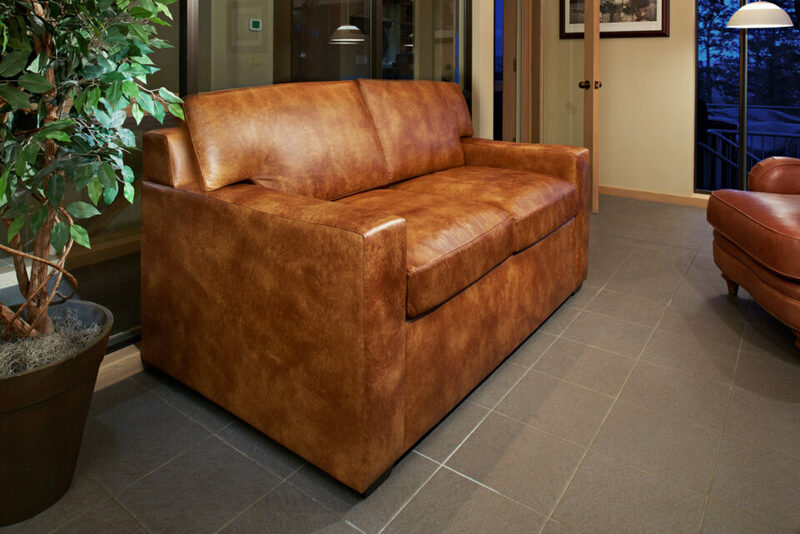 Charles Alan Inc., a Ft. Worth contract furniture house makes the couches, to order. 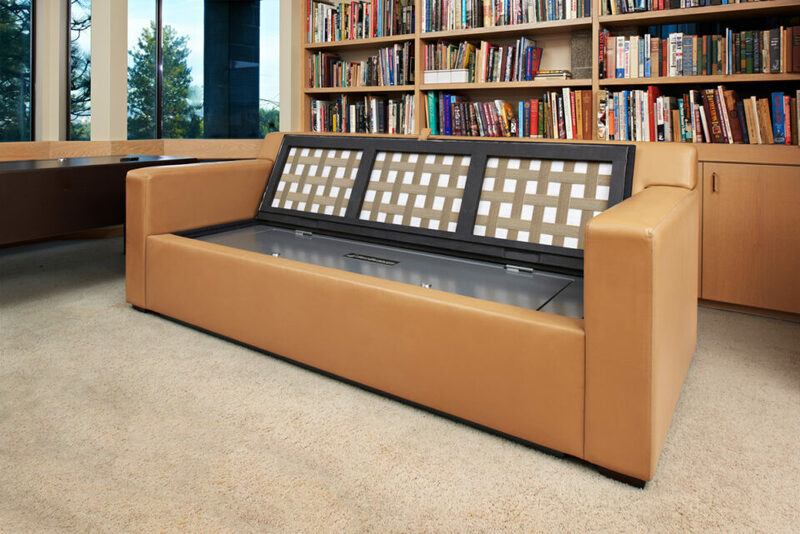 The optional bullet resistant cushions, serving as a portable, personal shields, will stop a 44 Magnum at point blank range.